Chip Somodevilla/Getty ImagesFederal Communication Commission Chairman Ajit Pai participates in a discussion about his accomplishments at The American Enterprise Institute for Public Policy Research May 5, 2017 in Washington, DC. 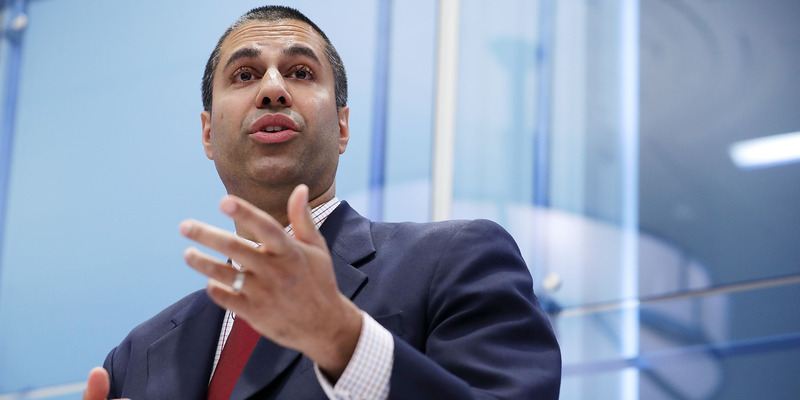 People have overstated the potential implications of the FCC’s decision to roll back network neutrality rules. The existing net neutrality scheme dates only to 2015. If the same standard is applied to firms that have applied to AT&T, some of the most glaring potential abuses of network nonneutrality would be in position to be well-policed. The existing net neutrality scheme dates only to 2015, and as Tyler Cowen put it last month, “few users seemed to care or notice” as regulations were repeatedly changed amid disputes in the courts. I would note, in most industries, we allow companies to define their services and price as they see fit, and we let consumers impose discipline by choosing the providers they think offer a good deal. We give companies this flexibility because a free market tends to produce better products and services than one where the government sets the rules. It is possible, as Cowen argues, that the freedom to charge extra to bandwidth-intensive content providers will allow internet service providers to raise extra revenue they will need to upgrade broadband networks for future needs. It is also possible that internet service providers will combine this added flexibility with their market power to squeeze extra revenue out of captive content providers and consumers, without providing improved service. While there is a competitive market for wireless data (and the federal government has wisely blocked recent efforts by wireless providers to merge), many wired providers have near-monopoly positions they could exploit. And it is also possible that vertically-integrated companies that own both broadband lines and content will use their control of speeds in the pipes to prefer their own content. I think this is the most serious concern, which is why I weakly favoured leaving the net neutrality rules in place. But I would hope the Department of Justice and the Federal Trade Commission would restrict such practices as a part of broader antitrust enforcement, despite the FCC’s new position. This isn’t a theoretical initiative for DOJ, which is currently seeking to block the merger of AT&T and Time Warner on the grounds that they might abuse the market position that vertical integration would afford them. Of course, President Donald Trump may be fixated on Time Warner for other reasons. But if DOJ and the FTC apply the same standard to other firms that they have applied to AT&T, they would be well positioned to police some of the most likely abuses of network nonneutrality. We’ll see how this works. Some of the scenarios that seem to have driven the most emotional complaints about network nonneutrality – particularly, the idea that ISPs will start blocking sites that don’t pay for delivery – strike me as very unlikely to come to pass, since they would greatly annoy consumers and were not common before this regulation went into place in 2015. But if that happens, there will be a political outcry, and lawmakers can fix the problem through new rules. As the repeated changes to net neutrality rules over the last decade show, no regime has to be final and fixed. * Disclosure: Since I am writing about telecommunications, I should note that I am a paid contributor to MSNBC and NBC News, which are owned by Comcast, which is a major internet service provider. NBC exercises no editorial oversight over my writing for Business Insider.